As a Tier 4 General visa holder you must comply with the conditions of your visa. We have detailed the conditions below, if you have any questions or concerns about this then please contact an international student advisor for further information. 1) The University is required to keep copies of passport pages showing all personal details and visa stamps or documents to evidence your entitlement to study in the UK. This can also include a Biometric Residence Permit. You must have your passport and visa scanned before you can complete your programme enrolment, and will be required to scan before every stage of your programme here. 2) You must study only at the university that issued you with the Confirmation of Acceptance of Studies (CAS) that you used to apply for your visa. In order to change institution, you will need to make a new Tier 4 application with a CAS from the new institution. 3) You must keep your contact details on the student portal up to date so that the University can contact you when required. This includes your home address, local Plymouth address, mobile phone number and personal email address. You must check your University of Plymouth email account regularly. 4) You must engage fully with your course of study, attend everything required and engage honestly with systems put in place to monitor your engagement. 5) You must tell your faculty office and the compliance team or ISA about any planned or unplanned absences that mean you can't attend classes or will be away from the University during study time. Please complete the absence/mobility form if your absence is known about in advance, or whenever possible. 6) You must tell the compliance team about any changes to your study location, for example a period of mobility, by completing the absence/mobility form. 7) You must not withdraw from, suspend or defer your course unless you intend to return home or make a visa application for a new institution. 8) If the University of Plymouth and/or the University of Plymouth International College have informed you that we have stopped sponsoring you under Tier 4, for any reason (your own decision to withdraw or suspend studies, an academic, or compliance related decision, or as per the Fit to Study Policy), you must follow the instructions given by the International Student Advice team and UKVI Compliance team, regarding your immigration status and departure from the UK. Failure to do this may mean the University will not be prepared to sponsor you under Tier 4 in the future. You must also supply details of your travel plans to leave the UK i.e. copy of flight ticket, when requested. 9) You must inform the UKVI of any change to your circumstances, for example changes to your personal details and contact details, any criminal convictions and changes to your dependant’s details. To report a change, use the MCC application form – contact an advisor in ISA or see ISA webpages for this form. 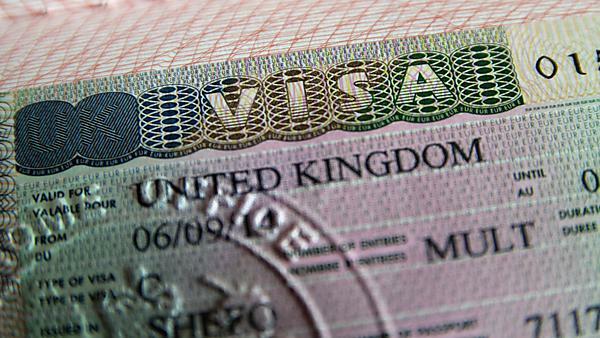 10) You must only work as per the conditions associated with your visa. Working more hours could have very serious negative consequences for future visa applications and for your studies at Plymouth or elsewhere in the UK. 11) You cannot be self-employed or engage in business activity, take a full time permanent position, be employed as a doctor in training (except on a recognised foundation programme), be employed as a professional sportsperson or sports coach, or be employed as an entertainer. 12) You must pay your tuition fees to the University of Plymouth and/or the University of Plymouth International College in a timely manner. 13) Please check your semester dates – they will not be the same for all students, so please be aware of the dates that apply to you. 14) You must abide by the current laws of the United Kingdom. 15) You must inform us promptly of any visa refusal you receive with a CAS supplied by the University of Plymouth (or the University of Plymouth International College), and supply all the documents relating to your refusal to the UKVI Compliance team. If you intend to submit an application for administrative review you must also supply the University with these details and documentation promptly. Failure to do so, or to inform the University that you have received a visa refusal, may mean that the University (including the University of Plymouth International College) will not issue you with a further CAS in future. 16) You must register with the police within the given time period if it is a requirement of your visa. 17) If you change immigration category you must supply your new immigration documentation for scanning to ISA as soon as possible after receipt. If you receive further correspondence from the Home Office regarding an ongoing immigration application this should also be presented to ISA for scanning. 18) As a Tier 4 visa holder you should be aware of your time limit. If you have any concerns you should ensure you discuss them with an international student advisor at the earliest opportunity, so that your time limit can be checked. 19) If you are required to repeat a part of your course or are referred in some modules you should contact ISA to discuss how this situation affects your visa. 20) If you wish to undertake a work or study placement or exchange programme you should contact ISA to discuss how this will affect your visa. You may be required to obtain new immigration permission before commencing the placement or exchange. 21) You should be aware that changing course (transferring to another programme) may have implications for your visa and may not be possible in some situations. Please discuss this further with your Faculty or an advisor in ISA. 22) If you are required to hold an ATAS certificate this must be presented to the University for scanning at enrolment or as soon as possible afterwards. Failure to obtain an ATAS certificate where it is required, or to obtain a new ATAS certificate where required, will mean that you are deregistered from your programme of study at the University. UK immigration law states that the University must hold copies of ATAS certificates where applicable. To read more about the ATAS scheme and who is required to apply for it, please see the Foreign and Commonweath Office ATAS page. Please note that the ATAS requirement applies to other categories of visa and immigration permission, not just Tier 4 visa holders. 23) We reserve the right to withdraw or interrupt you from your studies if you have no valid immigration permission, are an overstayer OR in our reasonable opinion you cannot submit a valid Tier 4 or other visa application within required deadlines, and we have no evidence to show that you have left the UK. Failure to follow the above responsibilities may result in the University reporting your situation to UK Visas & Immigration (UKVI) and may also result in your withdrawal from your studies at the University of Plymouth. You would then be required to leave the University and the UK. If you are on an undergraduate or postgraduate taught programme, including where repeating, you should be attending all timetabled sessions and meeting with your dissertation supervisor monthly during the dissertation period. You should expect to have regular engagement points. If you are a postgraduate research student you should be completing your interactions on GradBook monthly and engaging regularly with your supervisory team, including during periods of mobility. The Tier 4 route is not for distance learning therefore if it becomes clear that you are based away from the UK or the University without authorisation, or for unacceptably long periods of time where mobility has been authorised (PGR only), we may stop sponsoring you under Tier 4. We may also stop sponsoring you if you fail to engage with your studies fully, so please ensure you are clear about timetabled and other course commitments. If you are unsure, please speak to your Faculty as soon as possible.